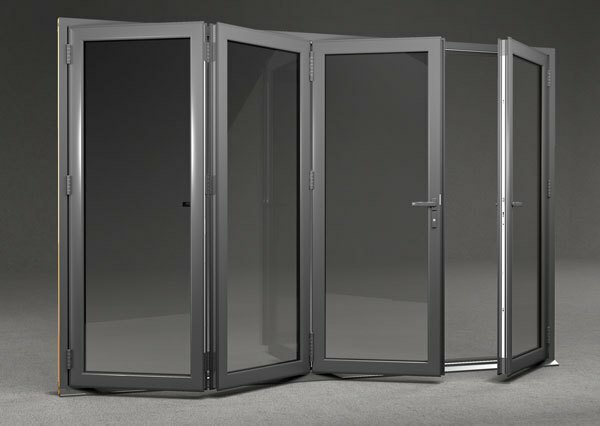 An innovative aluminium folding sliding door system which incorporates a radically different product design approach to deliver a new high performance fenestration framing solution: “warm aluminium”. Every single component has been concept sketched, detail designed, prototyped, tooled, trial installed and rigorously tested by Synseal’s unrivalled Research & Development Team. WarmCore is a great looking, high quality aluminium folding sliding door solution with peerless thermal performance ensuring end-user comfort, all year round. Folding sliding doors up to six metres wide incorporating seven sashes can be specified. A mid-rail option is also available. For more information on this great product please give us a call on 01675 442 819.